City documents obtained by 9Wants to Know in the ongoing investigative podcast "BLAME: Lost at Home" show police detectives long suspected Chuck Frary's remains were buried within debris in his home. DENVER - The city announced it’s creating new standards to better handle severe hoarding cases as 9Wants to Know investigates how a man was declared missing only to end up dead in his own home. In the ongoing investigative podcast BLAME: Lost at Home, the 9Wants to Know team revealed city police were first warned Chuck Frary may be dead in his home a year before his remains were finally recovered from his property at West 50th and Tennyson. That first warning came through a prophetic 911 call made by a neighbor 383 days before Frary’s remains were found buried under debris in his living room. “I’d hate for a year to go by and someone discovers this guy is dead...this guy died in his house,” neighbor Cheryl Lanaster said to the emergency dispatcher, while requesting a welfare check. 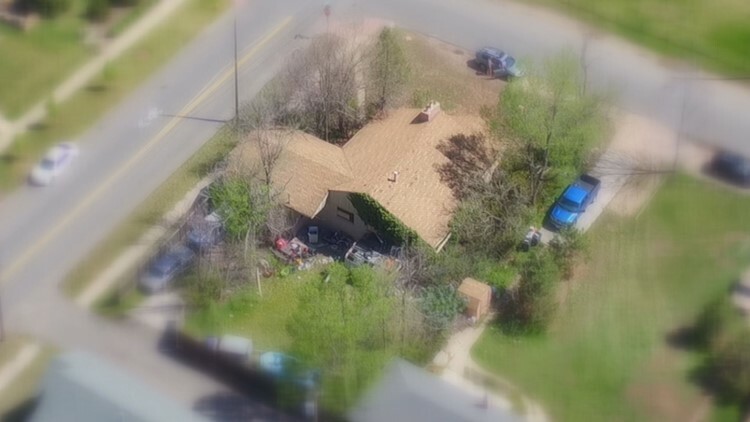 City documents obtained by 9Wants to Know also show police detectives long suspected Frary’s remains were buried within debris in the home, but took eight months to finally alert the Denver Department of Public Health and Environment. Dispatch records also show police visited the property five times before he was ultimately found. As a result of 9Wants to Know’s findings, the Denver Police Department and the Department of Public Health and Environment sent a joint statement addressing the gaps of communication between the two agencies.